Bastion Science Fiction Magazine may be a brand new publication, but the presentation, editing and story selection are as good as anything you'll find from Analog or Asimov's. The amount of fiction is impressive: nine stories in the May 2014 issue. A few didn't really grab me (which happens with the aforementioned Analog and Asimov's as well, so that's no major criticism), but several really impressed me, particularly Eric Del Carlo's "Nigh," a story about a race of people who exist alongside humans--and can predict the exact date of any person's death. There's a lot more to the story than is apparent at the beginning, and the character development is considerable for a short story. Rounding out my top three stories in this issue are Jessica Payseur's "Wruyian Sands" and "A Rather Different Sort of F-Bomb" by Marty Bonus. Both of them present unique visions of the future, the first from the perspective of a little girl trying to understand an alien culture while coping with family issues, and the second as an exploration of what a person is willing to do to save humanity. Another story I particularly enjoyed is Mark Patrick Lynch's "A Considerate Invasion." It definitely reminded me of some of the classic science fiction stories of decades past. Indeed, Bastion's home page states: "Short stories reminiscent of the golden age." They have certainly succeeded in creating a magazine any writer, past or present, would be proud to be published in. I received a copy of the second issue in exchange for an honest review, but I've already bought and begun reading June's issue, #3. I look forward to enjoying the magazine for many more issues to come. 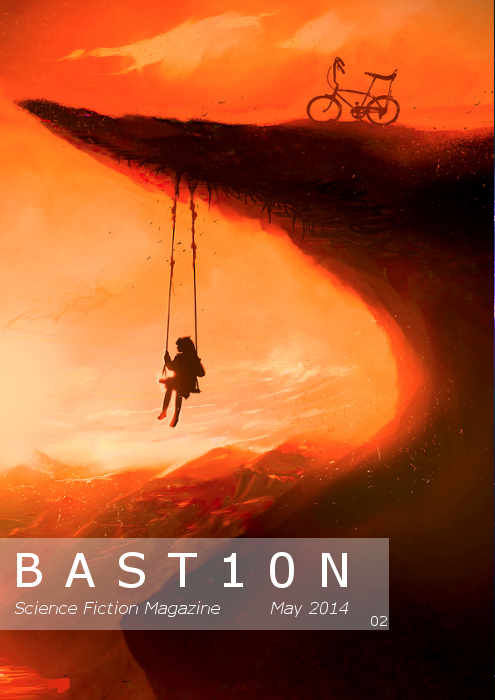 Click here to check out Bastion's website! Individual issues are available from Amazon, Barnes & Noble and Weightless Books. SHORT STORIES is Now THE VAST EXPANSE BEYOND! A New Look for The Sullivan Saga!